My plan was to begin this column by reporting that the last fireworks in my part of the world exploded on July 10. As it turned out, I was overly optimistic. Last Saturday, a full 11 days after the Fourth of July, the chaos began again. Rockets’ red glare, bombs bursting in air and all that other stuff. It started at dusk and lasted until way after my bedtime. So how come these revelers are allowed to start shooting fireworks long before the Fourth rolls around and to keep on with it for days and even weeks afterward? Isn’t there a law forbidding such a thing? Not where I live. 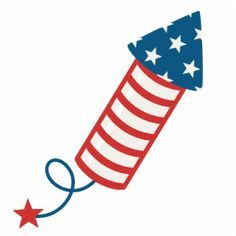 The city of Cookeville has an ordinance limiting fireworks to July 1-5 between 9:00 a.m. and 10:00 p.m., except for July 4, when the partying can go on until midnight. But the county has no noise ordinance at all. An employee at the Putnam County Sheriff’s office explained to me that “disturbing the peace” is an oft-misunderstood term. If you’re making a racket on your own property in a safe manner, you’re not breaking the law, no matter what time it is. Sheriff’s deputies can ask noisemakers to quiet down, but they can’t arrest or cite them. Once that question was answered, I began to ponder the other thing that puzzles me. Why does anyone in their right mind want to shoot off fireworks for a whole month? I totally understand celebrating America’s birthday with fireworks on the actual Fourth of July. But why do it day after day after day? Maybe there’s an adrenaline rush that comes with setting something on fire and watching it soar into the air and explode. Engaging in risky behaviors like skydiving or driving too fast releases dopamine in some people’s brain. Maybe that’s also true for shooting fireworks. Maybe it’s akin to little boys playing war—lots of gunpowder and noise without the risk of flying bullets. Maybe the law of scarcity plays a part. Since fireworks are only sold around Independence Day or New Year’s Eve in most places, they have to be enjoyed to their fullest while they’re available. Or maybe people just enjoy watching their hard-earned money go up in smoke. Whatever the reason, I’m keeping my fingers crossed that the madness will end and that peace and quiet are right around the corner.